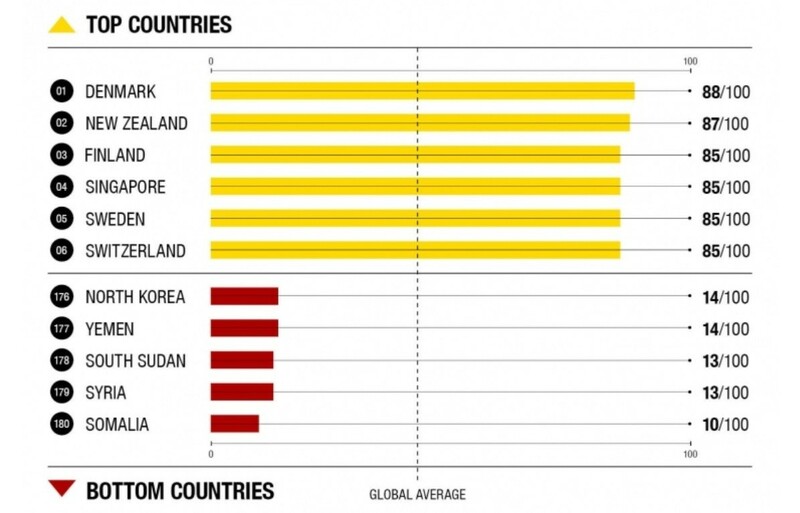 No country is free of corruption, according to the latest Corruption Perceptions Index. Denmark is the least corrupt nation in the world, according to an index which suggests corruption is contributing to a crisis in democracy around the world. The Nordic nation is followed closely by New Zealand, Finland, Singapore, Sweden and Switzerland. But no country is completely free of corruption, according to the latest report by Transparency International. Even Denmark has experienced recent corruption cases, the report authors note, such as a money-laundering scandal surrounding Danske Bank, its biggest lender. At the other end of the scale are Somalia, Syria and South Sudan, which all score poorly on Corruption Perceptions Index for 2018. Transparency International, an NGO founded in order to combat global corruption, said that countries with higher rates of corruption have weaker democratic institutions and political rights. 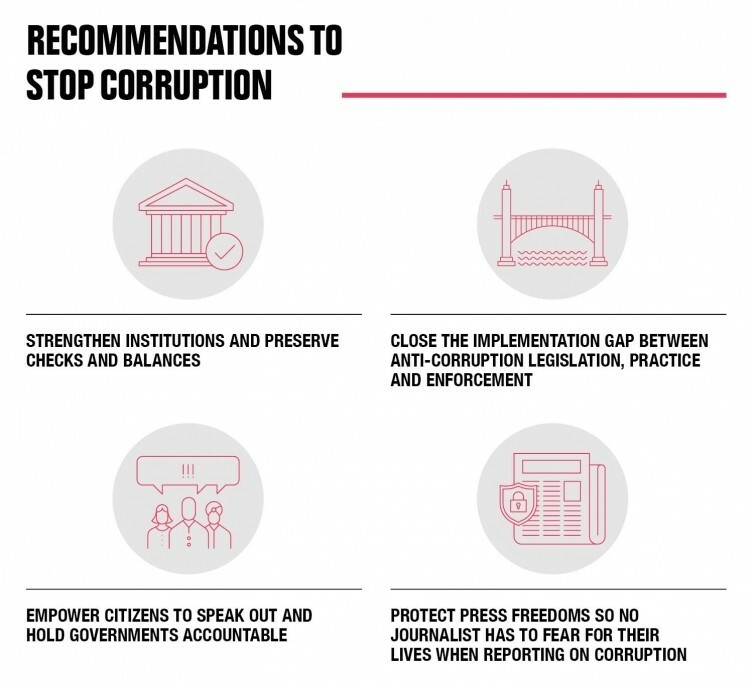 The NGO calls on governments to strengthen institutions that maintain checks and balances over political power; enforce anti-corruption legislation; and support civil society, and a free and independent media. The Corruption Perceptions Index ranks 180 countries and territories by their perceived levels of public sector corruption, according to experts and businesspeople, with a scale of zero to 100, where zero is highly corrupt and 100 is very clean. Last year, more than two-thirds of countries scored below 50, with an average score of just 43. It says Brazil is another nation to watch, after it earned its lowest CPI score in seven years. New president Jair Bolsonaro has made promises to end corruption.